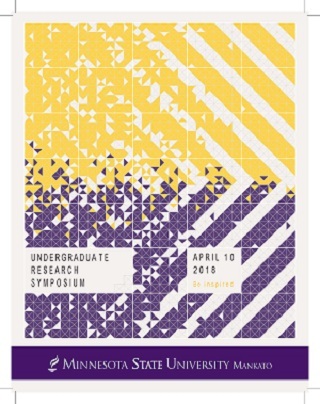 Cornerstone: A Collection of Scholarly and Creative Works for Minnesota State University, Mankato - Undergraduate Research Symposium: The Impacts of UV-B Radiation and Litter Placement on the Microbe Community Structure of Typha angustifolia Detritus. The Impacts of UV-B Radiation and Litter Placement on the Microbe Community Structure of Typha angustifolia Detritus. Microbial activity plays a vital role in transforming refractory carbon sources into soil humus. During the stages of decomposition, carbon structures change eliciting a reconfiguration of detrital microbe community structure. For example, ultraviolet (UV) radiation photodegrades lignin compounds, a refractory phenol, into more labile carbon sources for further microbial use. However, little is known how photodegradation influences a change in microbial community structure. Therefore, we investigated how varying levels of ultraviolet-B (UV-B) influences the microbial structure of narrow-leaf cattail (Typha angustifolia) leaf litter. Plant material was exposed to near-ambient UV-B radiation (Aclar) and reduced UV-B (Mylar) at two different sample placements (standing or fallen) over the course of 180 d. Biologs were used to house plant-microbe samples and microbial colonization was measured through fluorescence. Detrended correspondence analysis (DCA) analyzed the qualitative trends of changes in microbial community along environmental gradients. DCA revealed that UV-B exposure affected microbial community structure in fallen plant material treatments. However, UV-B had little influence on microbial communities associated with standing plant material. No clear patterns were observed within aclar treated groups nor within mylar treated groups. Kuehn, Kaitlyn. "The Impacts of UV-B Radiation and Litter Placement on the Microbe Community Structure of Typha angustifolia Detritus.." Undergraduate Research Symposium, Mankato, MN, April 10, 2018.